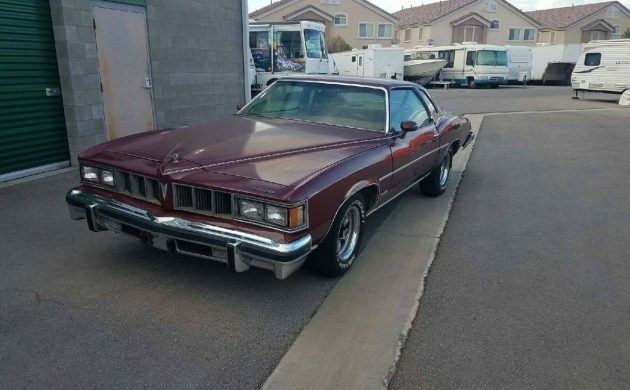 The owner of this 1976 LeMans says that it has been a well cared for vehicle and that it drives very nicely. Certainly, on initial appearances, it is a promising looking car, and it is certainly worth a look. I would like to thank our eagle-eyed Barn Finder Pat L for spotting it for us. Located in Henderson, Nevada, it is listed for sale here on Craigslist. 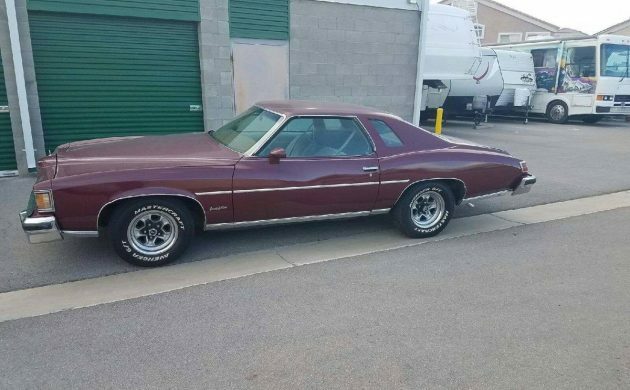 While the paint on this Pontiac looks quite solid, it does appear to be dull in a few spots. 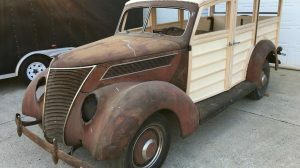 Of course, this may also be a trick of the light in the photos, or the paint may have fallen foul of the oxidizing issues that can affect some red paints. If this is the case, then a polish and buff could fix this. It does appear that the car has undergone at least a partial repaint at some point in the past, as there is evidence of overspray in a number of spots. There’s no obvious evidence of rust issues, and the owner assures us that the car is not a rattle trap. Under the hood are a strong 350ci V8 engine and a Turbo Hydra-Matic transmission. The car is also fitted with power steering, power brakes, and air conditioning that blows cold. The owner says that the car starts, runs, and drives really well, and is very smooth. The car has also recently received a new dual exhaust, and he also says that the tires are good. 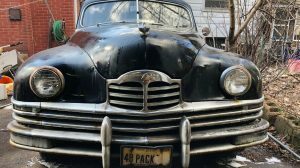 He also states that you could drive the Pontiac anywhere, which displays confidence in the mechanical condition of the car. The interior seems like a bit of a “mystery bag” to me. There is a cover over the dash pad, so we can’t be sure of the condition there, although there are some cracks that are peaking out from under the mat towards the center of the dash. The carpet looks to be either dirty or stained, especially on the driver’s side, while there is either a tear or a seam separation on the driver’s seat backrest. I believe that the car is also fitted with an aftermarket stereo, as I can see speakers fitted to the foot-wells of the car. This is a car that would require a personal inspection to verify its condition, as what is visible in the photos is a bit inconclusive. It appears to be a straight and solid car, but those niggling doubts regarding the overspray would need to be investigated. You can find examples that are on the market at the moment for around the $4,000 mark, but those are pretty rough and don’t present well. 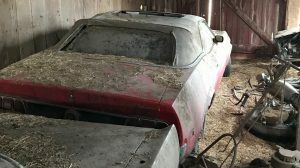 If this one passes muster on personal inspection, then the asking price of $4,500 might be a pretty decent buy. I have always loved this body style, and I also love how they drive. This is not a LeMans Sport Coupe, it’s a Grand LeMans. 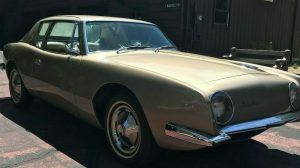 The grille and taillights are different, and LeMans Sport Coupes had standard bucket seats (although the split bench may have been an option). Probably just a really nice two door coupe. 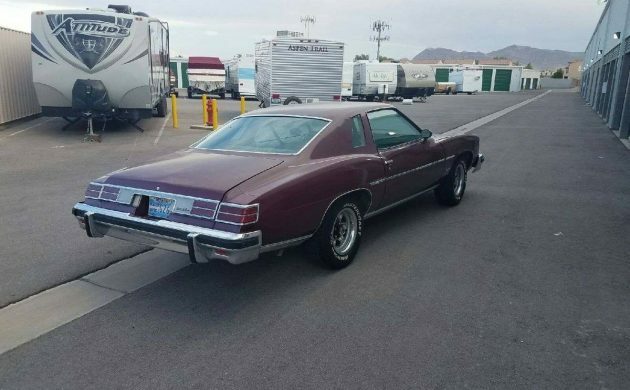 One of my buddies had a ’76 Sport Coupe, he bought in ’77. White with red interior. It had bucket seats and a 400cid/4bl auto. It also had the side quarter window fixed louvers, and the tail lights were different. Still a nice Colonade bodied Pontiac, though. I bought a rusty one of these years ago. Low mines, old woman owned. Same car only Blue. Got it for $50, driving it home the doors were so rusty the driver’s side door latch let go on a corner and I almost fell out of the car at 40mph ! 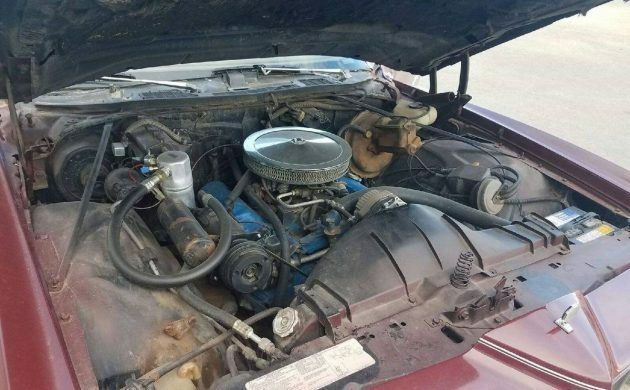 Engine out of it is still in my 78 LeSabre. The front seat, transmission and door panels ended up in my buddies 76 Cutlass, the wheels are still on my 77 Regal. Frame ended up under another friends Street rod ! AND I STILL have parts ! Mine was the “giving tree” of Pontiacs ! Had one that I bought from original owner from upper peninsula Michigan for $250. It had 30k miles on it and the body panels were flapping like crazy from rust. Bought it for winter beater and drove it for five winters, sold it for $550 with 40k miles on it. Drove nice and had near showroom condition interior. Never could get the driver side door to open. Heat worked and it ran great. That’s all that mattered. Where are the headrests on the front seats?! 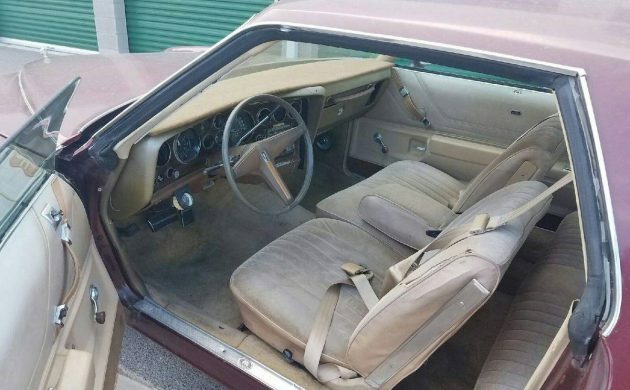 They have to either be reupholstered seats from a ’68 or older car, or someone pulled out the headrests & reupholstered over the holes for them on top on the stock seats. Well the Chevy Monte Cacacarlo wheels just did me in. No way Jose.